Every time I see an arrangements of chairs, benches or other apparatus used for sitting, I take note with my camera. Here are some other examples: Park Bench Series No. 1, Park Bench Series No. 2, Park Bench Series No. 3, Bench Series No. 4, Bench Series No. 5, Bench Series No. 6, Bench Series No. 7, Bench Series No. 8: Corner Bench, Bench Series No. 9, …,. Bench Series, No. 15: Opulent Bench. 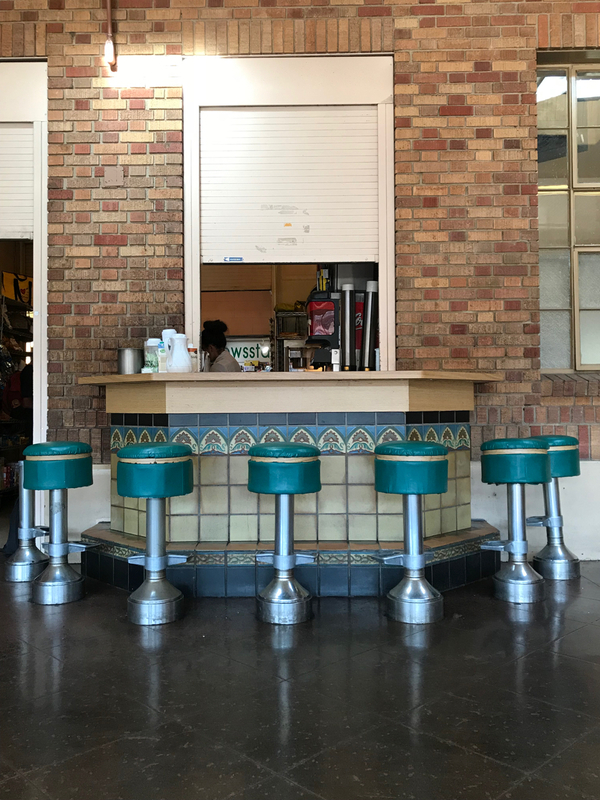 This entry was posted in Personal Stories and tagged art, art deco, artistic expression, park bench, photography, railway station, soda fountain stools, street photography, visual art. Bookmark the permalink. Where is this railway station? I mean in which town?